THE KILLING KIND UK/Australia/New Zealand Cover Reveal! Oh, internet, you sneaky little gossip. You just love blurting out people's secrets, don't you? In this case, though, said secret is pretty cool. 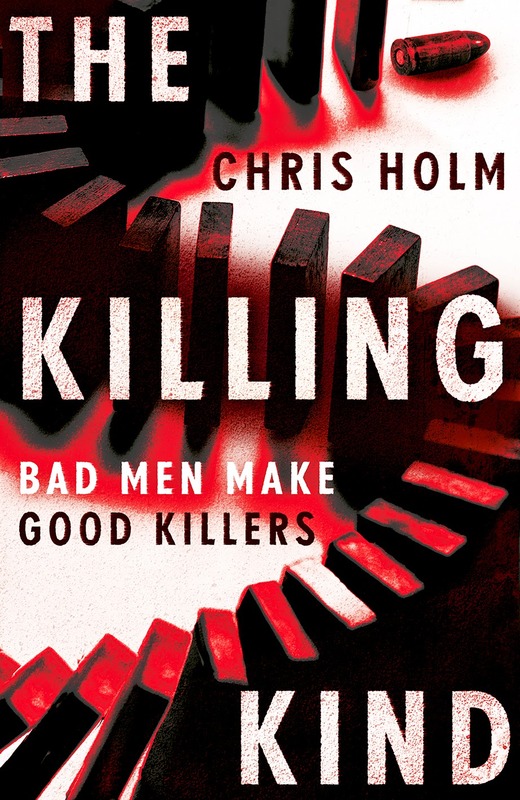 See, I've been sitting on the gorgeous UK/Australia/New Zealand cover for THE KILLING KIND for weeks, biding my time until I got the go-ahead to show it off... only to discover it snuck onto my publisher's website while my editor and I weren't looking. Last night, I got the thumbs-up to share it here. BEHOLD! One pretty cover is almost too much to hope for. But two? Yea verily do the publishing gods smile upon me. Nice to know I haven't been sacrificing all those brindled calves beneath the pale moonlight for nothing. THE KILLING KIND a Library Journal Prepub Pick! Two posts in one day? Madness, I say! 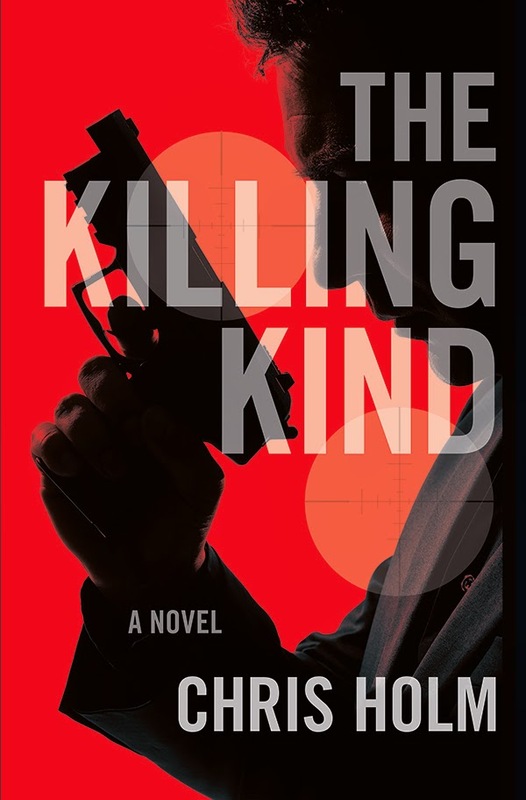 But this Library Journal piece naming THE KILLING KIND a Prepub Pick for September is too cool not to share, not least because it'll probably be the only time I'm mentioned in the same breath as Salman Rushdie and J.M. Coetzee. "With THE KILLING KIND, Chris Holm has created a story of rare, compelling brilliance with a concept so high you'll need oxygen to finish it. Hitman against hitman, one pure silk and evil, the other not exactly good, but we root for him anyway as the classic antihero. This is a one-sitting extravagant, mind-blowing reading pleasure with a stable of characters who come across as all flesh, bone and folly. You will never look at men hired to kill other humans the same way. You won't merely read this book, you will inhale it." I've been a fan of Baldacci's since I read his debut, ABSOLUTE POWER, way back in '96. To know that he enjoyed THE KILLING KIND is quite a thrill. Many thanks, David, for your kindness and generosity. Left Coast Crime is days away, and there've been some last-minute updates to my schedule. Remember when I said I'd be front-and-center for Katrina Niidas Holm's panel? Turns out I was off by a few feet, because I'll actually be on Katrina's panel. 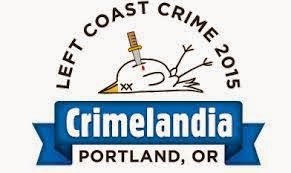 See, Bill Loehfelm couldn't make it to Left Coast Crime, so the organizers tapped Lou Berney for the panel. Unfortunately, Lou just had to cancel, too, so now Katrina's stuck with me—and I'm stuck feeling like I just signed on to play drums for Spinal Tap. In addition, I'll be co-hosting a table at the banquet with the insanely talented Hilary Davidson. If you'd like to break bread with us—and maybe take home some fun freebies—don't forget to sign up when you register! THE KILLING KIND Cover Reveal! I've had a charmed run when it comes to covers. The distressed, Penguin-inspired covers for the Collector trilogy beautifully evoke the dime store paperbacks that inspired the series, and garnered no shortage of praise. So the cover for THE KILLING KIND had a lot to live up to. Lucky for me, Mulholland is no slouch in the design department. Duane Swierczynski's CANARY practically screams to be picked up. The cover for Lauren Beukes' BROKEN MONSTERS is as eerie and unsettling as the novel itself. And I'd be remiss if I didn't mention J.J. Abrams' and Doug Dorst's S., which may well be the prettiest book I've ever seen. But in covers, as in life, there are no guarantees. So how's THE KILLING KIND stack up? As far as I'm concerned, they nailed it. This cover positions Michael Hendricks as an iconic action hero in the vein of Bourne and Bond. It's bold and graphic, and promises no shortage of mayhem within. And it'll look mighty pretty in thumbnail or on a shelf.